WE NEED YOU! This is an opportunity for you to witness to individuals who are at a point in their life when they need JESUS and they KNOW It. Have you ever considered the idea that you could serve God in a powerful way without ever leaving your house? Writing letters to prisoners is a wonderful way to share the Gospel and to make disciples behind the locked doors of jail cells. Just imagine, if you only lead one prisoner to Christ how many others they may tell about Jesus on the inside. We also need a National Director to volunteer and help manage this ministry. Please contact us immediately if you are interested in either or both. Thank you and GOD BLESS YOU. We are currently starting a new ministry here at Airrington Ministries. We need hundreds of volunteers. Initially we will need a director to help us with organizing and to help us with finding more volunteers in each state. We have fresh lists of inmates, tips, Bible Study lessons, tracts and more. We are just waiting for you to come on board. Many of these individuals have never had someone share Jesus with them…that someone could be you. Jesus is calling you. Knock…Knock…Knock. This is an opportunity to serve the Lord without ever having to leave your home. The Prison Ministry at Airrington Ministries consists of 100’s of volunteers from all over the world who simply write letters to inmates in prison. If you are interested in becoming a volunteer or a director…please contact us. We will provide you will a password to a page with the addresses to inmates currently in prison and on death row, plus information on to say and what to not say in your letters. At the close of 2008, there were 1,610,446 sentenced prisoners in the United Sates. This figure does not include those awaiting trial, or in county jails. Those numbers were estimated in 2009 to be 767,620, with 87.1% representing the male population, and 12.9% the female. On average, 12.8 million people are placed in jails in the US per year causing the majority of county jails to operate at 90% of their capacity. In 2009, 52 inmates were executed: 24 in Texas; 6 in Alabama; 5 in Ohio; 3 each in Georgia, Oklahoma, and Virginia; 2 each in Florida, South Carolina, and Tennessee; and 1 each in Indiana and Missouri. The executions were by lethal injection and electrocution. All of these figures add up to real people who have made real mistakes with their lives. 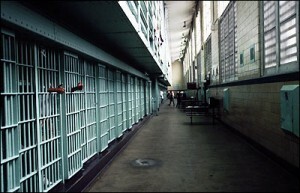 Some are serving 1-5 year sentences, others life sentences, and still others who have no hope of ever being released. Imagine the difference you could make in the life of one of these people if you began to write letters telling them about our blessed hope in Christ. We are looking for a National Director and hundreds of volunteers. If you would like to speak with someone within our organization about this area of ministry, please contact us.